Kompyte’s Paid Campaign Analysis provides an overview of your complete Paid Ad performance. 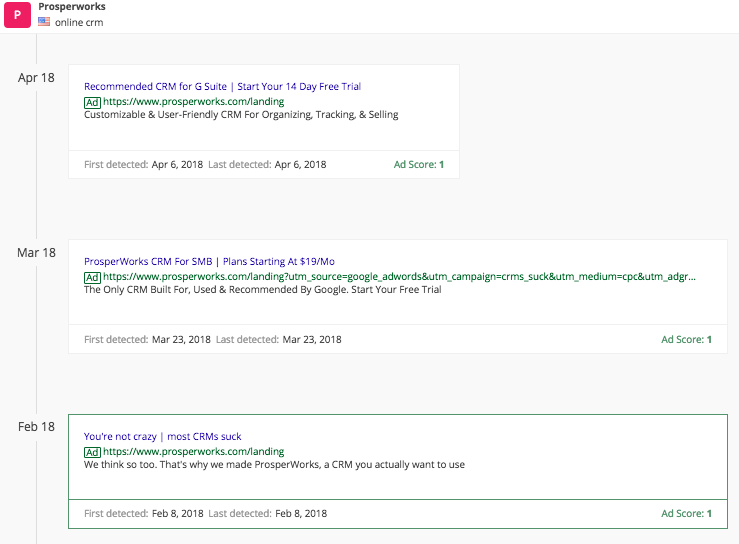 In this section, we highlight your top ads, your competitor's top ads, rankings and we include a table showing your performance vs. the market so you can strategically tackle your Paid Ad action plan. 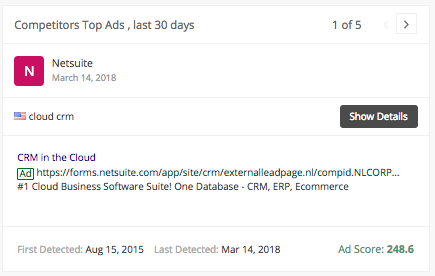 The Ad Performance in the top bar shows your company’s ad performance including the number of ads you are currently running, keywords you are running ads for and recommendations. The Your Top Ads, last 30 days chart reveals your company's top 5 best performing ads in the last 30 days based on AdScore. The Competitor's Top Ads, last 30 days chart reveals the competition's top 5 best performing ads in the last 30 days based on AdScore. You may also view more details, including how the ad appears on Google, and interact with the ad from here. 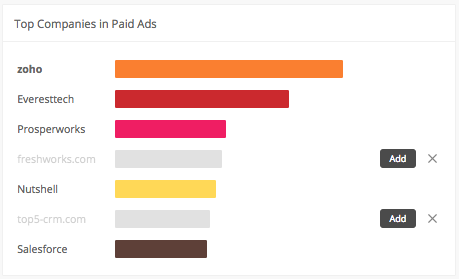 The Top Companies in Paid Ads chart reveals companies most closely matching your Ad Strategy. This chart shows companies running ads for the highest percentage of your keywords. For example, if you are running ads on 100 keywords and a company is running ads for 70 of these keywords, they might appear in the Top Companies in Paid Ads chart. 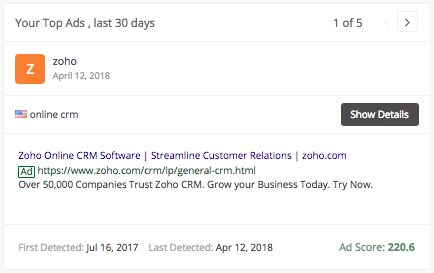 Why are some companies in the Top Companies in Paid Ads chart grayed out? The Top Paid Keywords chart displays the top keywords for which companies you track are running ads. For example, if you track 10 companies and 7 of those companies are running ads for a particular keyword, this keyword would likely appear on the Top Paid Keywords chart. Why are some keywords in the Top Paid Keywords chart grayed out? 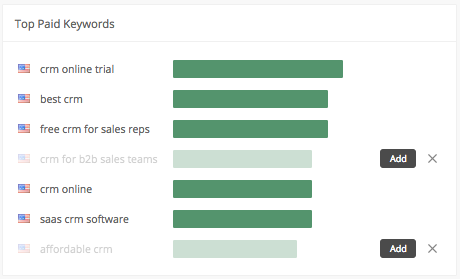 The Campaigns table displays all of the keywords you are tracking as rows and the companies you track as columns. In the grid you can see whether each company is running an ad for the specified keyword. Kompyte includes a different color for each company so you can quickly determine whether they are running a regular ad campaign or an AB test. For more detail about any ad, tap the colored point or AB icon and a pop-up will appear. From here, you can interact with the ad as it appears in a Google search - view the specified Landing Page, Copy, Headline and corresponding AdScore.